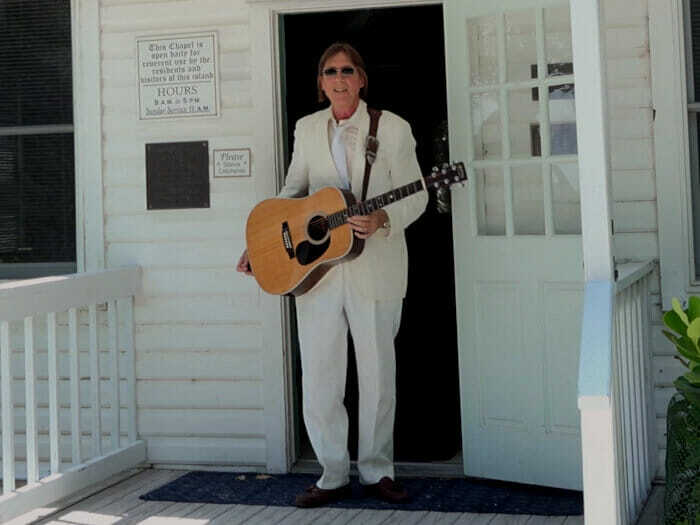 Austin will appear Sunday afternoon at this beautiful house of worship on Captiva Island, recognized in the National Register of Historic Places. In June 2018 Jimmy Jensen filmed Austin on location performing his song God’s Locomotive, which Austin had written in celebration of the joyous scene he witnessed there one Sunday morning. Jimmy’s footage was incorporated into a video of the song.